RT caught up with President Medvedev's press secretary straight after the conference. She told us that the President's networking doesn't make her job any easier. 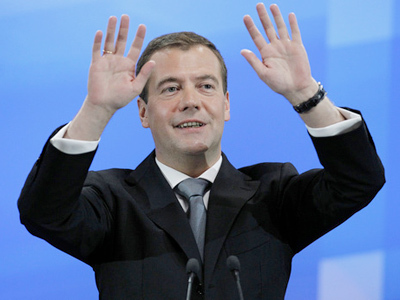 RT: We were expecting President Medvedev to announce his candidacy for 2012, but he stopped short of doing so. What message do you think he’s sent today? Natalya Timakova: I think it just didn’t happen the way you expected it. Of course, we knew about the expectations that the media had, but I think the President said very clearly at the very beginning of the press conference that this was not the right place or the right time for such an announcement. So, even though you didn’t get an answer to your No. 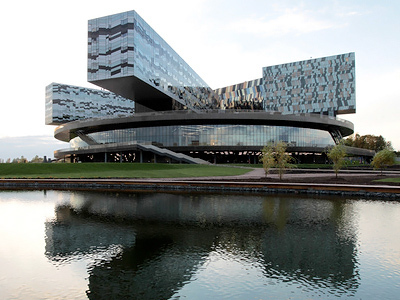 1 question, I still think the journalists who came out to Skolkovo today heard a lot of interesting things. RT: The longer we wait for an answer, the more speculation rises – has it got to the point where speculation could start to impact on decision made at the top? NT: I don't think so. Like the President said today, responsible politicians make decision based on what is good for their country, not based on some speculations. RT: Will the tandem survive until the election? NT: I think the President gave a very clear answer to that question today. RT: A prominent tycoon recently announced he would be willing to head up the Just Cause party. Does this mark a new diversity in the Russian political arena? NT: The president has said on more than one occasion including today’s press conference that he was in favor of political competition. 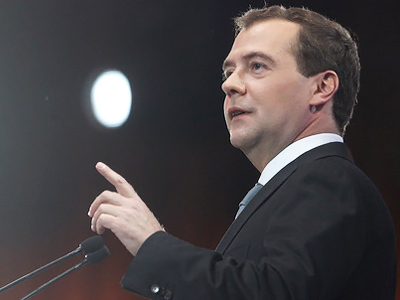 He believes the Russian political system is still developing. In order to develop the political system and party representation, we will certainly need several different political parties that would reflect what is happening in our society. I think that the rightist party we are talking about will find its supporters. I think the party is quite promising in that sense. RT: Modernization has become the chief objective of Russia’s political leadership. Which area in Russia needs modernization the most? NT: In principle, modernization should affect every area. More specifically, the Modernization Commission has identified five key areas, and the president mentioned them again today. As regards modernization in politics, the president often talks about those things as well: we need more political competition, we need an open society and civil liberties. All of that is part of the modernization effort. If we want to have a country that is able to compete, a competitive society, if we want to develop new technology, the people who work in those spheres have to feel free and confident. RT: The month prior to this important press conference saw many events of international importance, including the killing of bin Laden. Has it changed anything in the struggle against terrorism in the North Caucasus? NT: The President has touched upon this issue more than once. We all know that terrorists from different terror organizations including Al-Qaeda have been active in the Caucasus, so the news of bin Laden’s death may have a dual effect. It may undermine this terrorist network or, on the contrary, boost its activities in some areas, which may pose a serious terrorist threat not only to the US or Europe but to Russia as well. The President has held a Security Council meeting on this issue in order to make sure we do our best to prevent potential terrorist attacks in case al-Qaeda decides to intensify its activities. RT: What are Russia's priorities in relation to the coming G8 summit? What ideas will Russia bring to the summit? NT: One of the key issues Russia is going to bring up for discussion at the summit that will be held in late May in Deauville is a proposal to tighten international nuclear security control. The tragic events that occurred in Japan, the catastrophe at the Fukushima nuclear power plant, made the world put the issue of nuclear security under closer scrutiny. The President has mentioned that this tragedy has exposed a few serious gaps in international law. Russia has drafted a proposal and sent it to the heads of the G8 nations as well as our CIS partners. The proposal contains Russia's view of how the international community could control and provide nuclear security. I'll give you a simple example: Russian laws define zones of seismic stability where nuclear power plants can be built…. Many other countries don't have such regulations and NPPs located in these countries pose a certain nuclear threat not only to the plant itself or one country, but to the entire world, because unfortunately the problem may easily become global. And Russia has come up with a number of such proposals in order to introduce international regulations for nuclear control in addition to national laws. RT: Can we expect a breakthrough on the Middle East settlement? NT:Russia is one of the parties in the peace process, and the President has been paying a lot of attention to the issue. We are in constant contact with the leaders of Israel and the Arab states. But of course the situation there is deteriorating, and I think it would be premature to expect a breakthrough. RT: At the press conference the President clearly stated, among other things, that Russia would not support a resolution on Syria similar to that passed on Libya. Could this mean that Russia might criticise NATO’s actions in front of the G8? 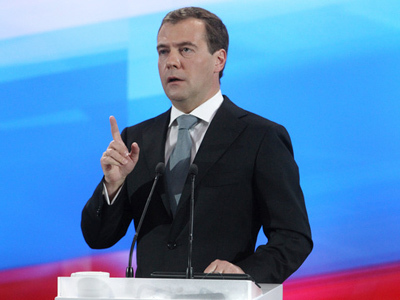 NT: I don't think a G8 summit is an appropriate place for severely criticizing NATO. We have other, more suitable formats for communicating with NATO, but I am sure that the situation in Libya will inevitably be on the G8 agenda. RT: Can you comment on the results of the press conference, which is unparalleled in scale and duration, with unprepared questions for the President. NT: You know, I think the press conference was a form of lively communication; there were 42 questions in total, 33 of which were asked by journalists into the microphone and some had been previously selected by the President. It was a dynamic event which enabled regional journalists to ask their questions, which is particularly gratifying, because the journalists working for the federal channels and printed media, I hope they’ll excuse me for saying, have much more access to the President.believe no one got the impression that it was a rehearsed and staged event where questions were known in advance, and I think that's important both in terms of increasing trust of the authorities and increasing the media's awareness that they always can ask the state leader any kind of question. There were some pressing issues raised, there were some less-sophisticated questions which nevertheless reflected people's local needs. For instance, there was a great question on agriculture; I don't think any of the Moscow reporters would have asked it with such passion and genuine concern for the industry. There were some frequenters to news conferences, such as the chief editor of Shest Sotok magazine; the person who I believe has truly mastered the skill of asking questions at press conferences. On the whole, I do hope that everyone present today, including those who never got a chance to ask their questions, are happy with today's dialogue. The President is happy with it. RT: What about the President's active use of the internet and other information resources, as he mentioned at the conference? I want to ask you, as his press secretary, how does that influence your communication with the President? He is such an active Internet user and blogger, when a report is submitted to him is he sometimes already familiar with the issue? NT: This happens, and unfortunately very often. Especially when it comes to some hot news that representatives of the press service or I want to convey to him, and it turns out he has read all about it on the Internet. But it demands more attention and concentration from us, because it is not pleasant to be informed by the President on some important issues, considering the nature of the work we are doing. Of course it has brought about some changes. 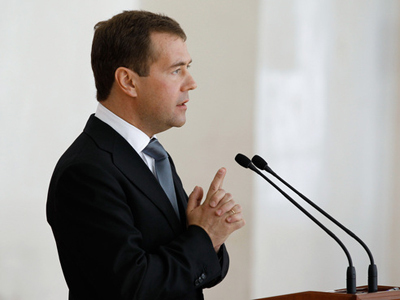 We have started to work more with the Internet since Dmitry Medvedev became President. You may also find his personal blog at kremlin.ru, and his blog appears on LiveJournal and Facebook. A year ago the President opened a Twitter account. First it was entirely official and then we split it into two parts: official and personal. We have worked with various Internet resources. They give the President a feeling of feedback, an opportunity to keep up with what people think and what is going on in the country, to know what concerns people, what problems they think important. The President said at the press conference that it is an issue of major importance to him which helps him to assess impartially.